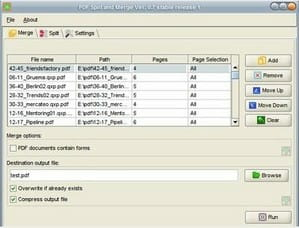 PDFsam is a tool to merge and cut PDF files. It is an open source application to treat PDF files. It requires Virtual Java machine 1.4.2 or superior version. - split documents PDF into chapters, into pages, etc. Latest update on January 22, 2015 at 10:53 AM.